A version of this article was originally published on February 12, 2018 on Greentech Media. Let’s face it: Conversations about electricity markets can be opaque. The widespread use of jargon creates a steep learning curve for anyone interested in learning about electricity market policy. As a result, existing power plant owners not only shape the policy; they shape the conversation. Three widely used market terms — “price suppression,” “capacity payments” and “price spikes” — contain hidden biases against effective market design and clean energy, and have become accepted into the market vernacular. It’s time to re-examine these terms and reframe the conversation about designing markets for a clean, affordable and reliable electricity future. “Price suppression” often refers to renewable energy’s impact on energy market prices. But to understand price suppression’s true meaning and implications, it’s important to understand how energy prices are set, what causes them to rise and fall, and what this means for stakeholders. Competitive energy markets are built on principles of supply and demand. Power plants “offer” generation to market operators at a certain price — their production cost. Load-serving entities, often retail utilities, tell the market operator how much power they want to buy and what they’re willing to pay for it. The market operator, also responsible for operating the physical transmission system, then uses software to find the least-cost set of resources able to provide sufficient electricity. The Federal Energy Regulatory Commission’s energy markets primer provides more detail about these markets and how they operate. The final price paid by retail utilities is the price of the most expensive generator chosen by the software to meet demand. The price varies by location due to physical limitations such as transmission capacity constraints and available generation. Even if the market dispatches nuclear power with operating costs of $20 per megawatt-hour, if a more expensive natural-gas plant must run at a marginal cost of $30 per megawatt-hour to meet demand, the market price of electricity paid to all selected generators is $30 per megawatt-hour. To remain profitable, many power plants depend on a significant difference between their production costs and energy prices (in economics terms, “rent”). New resources can affect this price by changing which unit is marginal (i.e., making a cheaper unit the marginal one). If a new wind farm with operating costs of $0 per megawatt-hour comes online and eliminates the need for the gas plant in the example above, the marginal price drops to $20 per megawatt-hour, because nuclear power is the next most expensive plant needed. Because generators get paid the market price, all selected generators now get paid less. Some pejoratively call that “suppressing” the price. But in this example, it’s irrelevant that the new facility is a wind farm. What matters is that the new facility has lower operating costs than the marginal unit, causing all prices to drop. Lower prices are caused by the new resource producing cheaper electricity (i.e., a renewable power plant) and displacing a more expensive generator, thus lowering the marginal resource price. A new high-efficiency gas plant might have exactly the same impact. Furthermore, falling prices are not a bad thing. “Price suppression” is synonymous with “lower costs.” When wholesale prices remain low, customers should pay less for electricity. Falling prices may also be a much-needed market signal for expensive, inefficient power plants to retire. Today’s markets are oversupplied and have flat or falling demand. Yet new resources continue to enter the market. Falling prices therefore send the appropriate market signal that less generation is needed. When unneeded and uneconomic power plants leave the market, cleaner and cheaper plants take their place and lower customer costs — a fundamental component of electricity market rebalancing. Four of the seven U.S. organized wholesale electricity markets — PJM, ISO-NE, MISO and NYISO — include capacity market products. Capacity markets build on the energy market structure discussed above by paying power plants for the amount of capacity they provide to the system, in addition to the amount of electricity they generate. In general, capacity is defined as the amount of power a resource can provide during times of system stress, particularly when demand is unusually high. Generators submit capacity offers to the grid operator just like in energy markets. But unlike energy markets that purchase the energy needed for coming hours and the next day, the capacity market pays for generators’ promise to be available to provide energy in future years. The grid operator then selects the lowest-cost set of resources able to meet an administratively determined future capacity level. Energy and capacity markets work in tandem. If average energy prices drop, a generator that is unable to reduce costs will need additional capacity market revenue to stay solvent and will adjust its capacity bid accordingly. Capacity markets also help provide generators with missing money that’s created by price caps (see below). Together, energy and capacity markets are intended to obtain the right amount of capacity to maintain reliability; no more, no less. For most grid operators, the goal is ensuring enough generation will be available to satisfy peak demand for the year, plus a buffer of roughly 15 percent in case of an emergency. Unfortunately, many capacity markets have been reworked to encourage far too much capacity to enter and stay in the market — much of it in response to existing power plant owners’ complaints of “price suppression” in energy markets. Consider PJM, the nation’s largest wholesale market operator. In its latest auction, PJM’s capacity market cleared 165 gigawatts of capacity, resulting in a 23.9 percent reserve margin. Minus the 15 percent emergency buffer, PJM has 8.9 gigawatts more capacity than is required, yet still pays — or effectively subsidizes — these generators to stay in the market. Customers ultimately foot the bill for capacity payments, so the more capacity cleared in auctions, the more customers pay. When the capacity market clears at values above the required amount that is truly needed, it subsidizes unneeded capacity. Wholesale electricity prices sometimes rise to reflect system stress, as prices would in any market when demand increases relative to supply. As demand rises, the market needs increasingly expensive resources, raising the price paid to all generators able to run, much like how Uber rates shoot up in an area when a large concert or other event draws to a close. Energy prices typically spike when demand is highest, but this also happens when supply is constrained — either generators are unavailable due to maintenance or outages, or transmission constraints force buyers to buy energy from more expensive resources. In the Uber analogy, this could happen when you need a ride home from the airport late at night and there are very few drivers available. But the highest instantaneous price is not what matters; rather, it’s the total energy cost paid by consumers. Price spikes (absent market manipulation) should be viewed as market signals to invest in new resources, particularly more flexible and efficient ones. FERC agrees that price spikes can send the right signal. Before 2016, most regional transmission operators had price caps at or around $1,000 per megawatt-hour, but in 2016, FERC ruled that these price caps resulted in unjust and unreasonable rates. FERC reasoned that when demand strains available supply or during extreme weather such as a polar vortex, some generators required to operate to maintain reliability would lose money with a $1,000 per megawatt-hour price cap. As a result, FERC raised the price cap to $2,000 per megawatt-hour in all FERC-regulated markets. 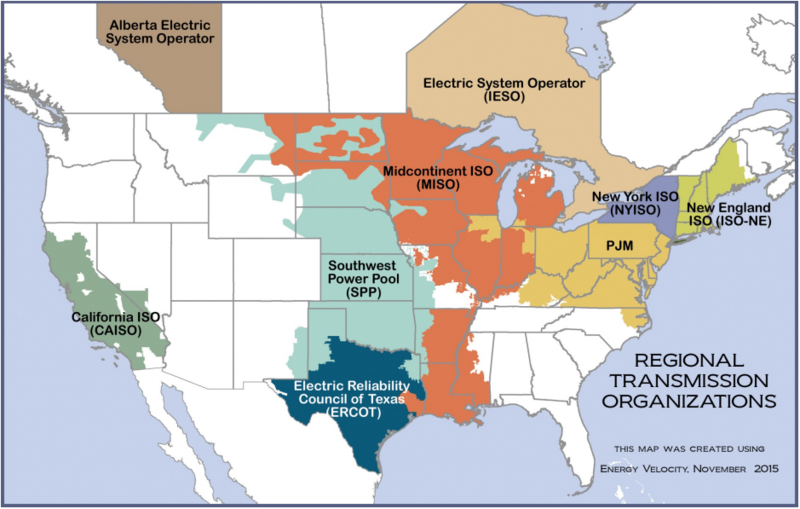 ERCOT, Texas’ single-state regional transmission operator and wholesale energy market, is the exception to this rule, with a price cap nine times higher than other markets at $9,000 per megawatt-hour in 2016. Even with the opportunity for higher price spikes, ERCOT’s pricing structure has not resulted in higher overall costs. For example, although the day-ahead price climbed over $500 per megawatt-hour in more days in 2015 than in 2014, average wholesale prices for the year were $13 per megawatt-hour lower in 2015. This suggests price spikes should not be viewed negatively in isolation, but rather require a look at the bigger picture. To support the transition to a clean, affordable, reliable grid, markets must evolve. 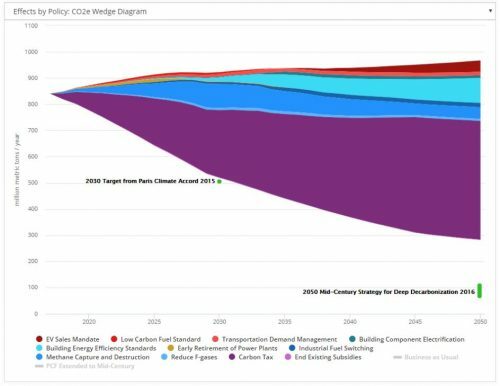 But market design and underlying terminology both favor conventional fuel-based generation, often at the expense of cheaper, cleaner technologies. Before we can change market design to enable an affordable and reliable clean energy transition, we must change the conversation.